Whether you have a balcony, patio or a back yard, most people have a garden of some kind. Be it a garden bed, container garden or plants in pots, there are some amazing projects you can do to make your garden stand out. You can also add some fantastic décor to your garden area using wind chimes, lighting or outdoor candle holders. 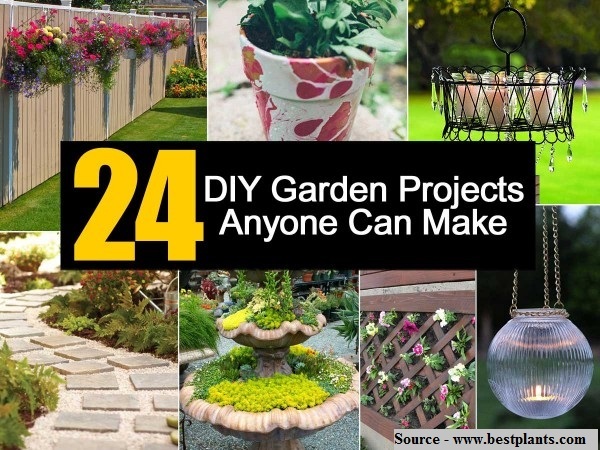 Thanks to bestplants.com for sharing their 24 garden projects that anyone could make. Follow the link below to gain some cool garden inspirations.